Way back in October of 2001, a NASA spacecraft named Odyssey began orbiting Mars. Since then, Odyssey’s made thousands upon thousands of laps around the red planet. On June 23, Odyssey will complete 60,000 orbits around Mars. That equates to almost 888 million miles traveled, which is in addition to the 286 million-mile trip it took from Earth to Mars. Despite years of mileage, NASA says that Odyssey is still in good working condition, with all subsystems still functional. 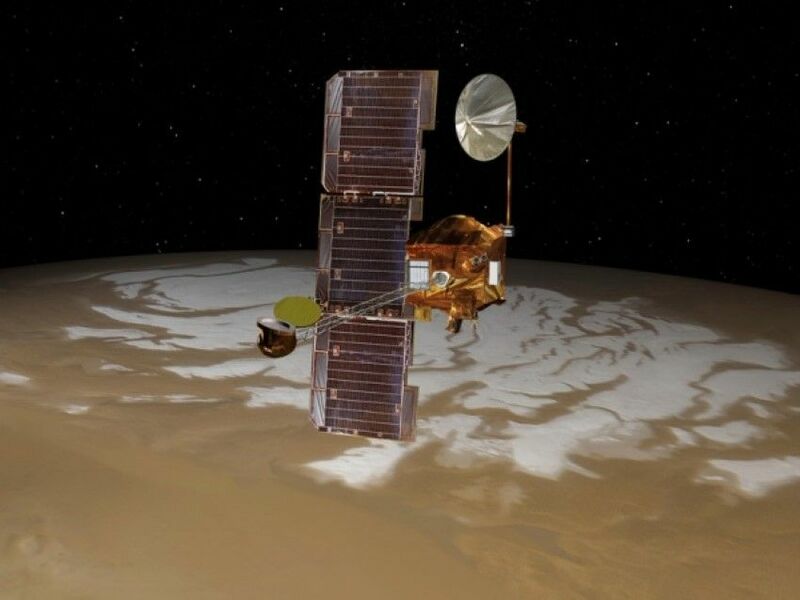 It’s already the longest-running spacecraft ever to orbit Mars, having achieved that record four and a half years ago. Odyssey’s numerous functions include relaying communications from the various Mars rovers back to NASA and taking scientific readings of the planet below. The craft’s list of accomplishments includes discovering widespread water or ice beneath the Martian surface, completing the highest-resolution global map of Mars, monitoring radiation around the planet and observing seasonal and annual changes to its environment. Odyssey has taken more than 208,000 photos in addition to almost 189,000 infrared images. Odyssey may be old in spacecraft terms, but its mission is far from over. Given its longevity, NASA plans to use Odyssey to help prepare the way for the first human mission to Mars, currently planned for sometime in the 2030s. NASA and the European Space Agency also have plans for additional rovers to land on Mars in 2016, which Odyssey will relay data to and from. The craft reportedly has enough propellant on board to keep it running for another decade.